Considerations sur la France (by Joseph de Maistre). Lettres à un gentilhomme Russe sur l’Inquisition Espagnole (by Joseph de Maistre). We have already noticed some of De Maistre's more important works, and have tried to describe some of the principal characteristics of his style and of his mind; but, little as we agree with him, the interest of what he writes, the vigour and hardihood of his assertions, and the force and brilliancy of his style are so attractive, that we propose to make some observations on three of his minor works which are usually published together. These are the Considerations sur la France, the Principe Générateur des Constitutions Politiques, and three letters on the Spanish Inquisition. No one of the three much exceeds in length an ordinary pamphlet, but each of them is so full of thought, so striking both in substance and in style, and embodies in so vigorous a manner the revival of old principles in somewhat novel forms, and the protest made in their name against their triumphant antagonists, that when they are spoken of as minor works, the phrase must be taken to apply to nothing but their size. The Considérations sur la France were published in 1796, the year of the great Italian campaign. The first struggles of the Revolution were over, and the great movement had taken the military form, which was to distinguish it for the next twenty years, and to be a prelude to that much quieter but far more widely extended, profound, and radical form which it has assumed since 1815, and under which it is rapidly changing the whole framework, and recasting all the old institutions, of European society. It is well worth while to see what an observer, whose shrewdness and brilliancy were only equalled by his onesidedness, thought of the great change at so early a period of its history. It is not difficult to exhibit his view of the subject shortly, for, as one of his principal talents was that of illustration and expansion, he had occasion to repeat his main thought many times over in various forms. The following, then, were his principal considerations on the French Revolution: The Revolution is not the work of men. They, on the contrary, are its instruments. The Divinity never showed himself so clearly in any human event. This is proved by the fact that 'des hommes plus que mediocres' took the measure of the Revolution better than their superiors, and managed its affairs more wisely. They never made a mistake, any more than Vaucanson's flute-player, because they were mere puppets in the hands of one stronger than themselves. What, then, was the design of Providence in the French Revolution? This is matter of conjecture, but it may be supposed that the object was both to punish the French nation for its crimes, and to purify it by suffering, for the great part which properly, by an immutable law of nature, belongs to it in European affairs. With all his absolutism De Maistre asserted with the utmost emphasis the necessity of preserving the independence of France, even at the expense of obeying the Committee of Public Safety: 'Le mouvement révolutionnaire une fois accompli, la France et la monarchie ne pouvaient être sauvées que par le jacobinisme.' His fundamental principle was that France 'exercises over Europe a real magistracy which it would be useless to contest, and which she has abused in the most criminal manner.' This magistracy was to be preserved, and at the same moment the abuses of it, and the special crimes of all classes of Frenchmen, were to be punished by the scourge of war and its miseries. Passing from the moral to the political point of view, De Maistre goes on to advocate a counterrevolution. A great part of his arguments have lost the interest which they once possessed, but part of them have rather gained than lost in importance by the lapse of years which have passed since they were written. There are to be found in De Maistre the germs of several of the most popular of the Ultramontanist commonplaces which since his time have come to occupy a very large space in the world. At the moment of its highest power and greatest apparent triumph he denounced the Revolution in its fundamental principles. He declared that it was utterly bad, that it would perish and pass away, that it was essentially antichristian, that Christianity would rise up against it, purified and strengthened by disaster, and overthrow it. Besides this, he insists at length upon the nullity, as he calls it, of the republican Constitution in France. Every nation has its own natural constitution, which cannot be changed in an arbitrary manner. Men can no more make a Constitution—that is, a general scheme of laws and political arrangements — than they can make a new law of nature. 'L'homme peut tout modifier dans la sphère de son existence, mais il ne crée rien; telle est la loi, au physique comme au moral.' Constitutions are the work of God. They grow, and are not made. Institutions to be durable must not be too human. No Constitution results from a deliberation; the 'rights of the people are never written; at least constitutional enactments and fundamental written laws are only declaratory statements of pre-existing rights, of which all that can be said is that they exist because they exist.' The rights of the people, properly so called, may have a legitimate origin in royal grants; but the rights of the sovereign and the aristocracy 'n'ont ni date ni auteur.' France is by nature a monarchy, and never can be anything else permanently. Above all, it can never be a republic. A great republic is an impossibility. You might as well attempt to make a round square. A considerable part of these speculations is commonplace enough. People far inferior to De Maistre are capable of offering all sorts of conjectures about the design of Providence in this or that series of events; but the conception of the fixed position of the different European nations, and in particular of the natural imprescriptible right of France to a sort of political primacy in European affairs, is very striking. De Maistre, if we are not mistaken, was one of the first preachers of this doctrine, which has since taken a great variety of forms, from that of the doctrine of natural boundaries, which is preached in every French newspaper at intervals, to the singular romance of Auguste Comte, in which France occupies the first place in the great Western European Confederacy, which is itself the forerunner of that still more advanced and wonderful condition of things, in which we are to have a Positivist priesthood, calendar, and other appliances. Comte used to describe De Maistre as one of his 'precursors,' and nothing can be more curious than the points of resemblance which do undoubtedly exist, between two men who might in many respects be regarded as affording the most irreconcilable contrast to each other that it is possible to conceive. The belief in a natural hierarchy among European nations, the theory of the growth of Constitutions, the belief in the insignificance of individual efforts in comparison with the importance of general causes, are common to both. God and Providence, as conceived by De Maistre, might without much difficulty be translated into General Necessity, as conceived by Comte. The remarks as to the antichristian character of the Revolution are obvious enough in one sense, but they are remarkable for the courage with which De Maistre predicts the coming triumphs of Christianity, or what he regarded as identical with it—the theology of his own Church—at a time when it certainly was at as low an ebb as it has ever stood at in modern history. The great reaction which has taken place since his time, and of which we are as yet far from having seen the end, affords very plausible grounds for the assertion that he was right, and that the doctrines which were for the moment trampled upon, and thrown into the background by the violence of the Revolution, are really destined to regain more than all that they had at any time lost. It would be a great undertaking to follow out completely all the points which this reflection suggests. No doubt there has been a great theological reaction all over Europe, but it is no less true that the spread of various forms of anti-theological thought has been at least equally great, if not greater. De Maistre, like his successors, was an essentially one-sided man, and totally forgot to take into account any of the facts which make against his favourite theories. The truth as to the great contest between what may broadly be called theology and philosophy is something of this sort: For a great length of time theology reigned over thought of all kinds, but during that period the number of people who thought at all upon philosophical or theological subjects was very small. After many changes and convulsions, religious disbelief allied itself with political discontent, and at the end of the last century produced a terrible explosion. Terrible as it was, it took place in an ignorant age, and amongst people who were, generally speaking, deeply ignorant. Since the actual convulsion ceased, there has been an enormous spread of thought and knowledge of all kinds, and amongst all classes of men; and both the religious and the philosophic parties (if they are to be opposed to each other) have gained largely in numbers, in intelligence, and in acquaintance with the subject. Where one person took an intelligent interest in such discussions eighty years ago, fifty take an interest in them now; and though it is quite true that the relative increase of the religious party has been greatest, inasmuch as it appears to have started from a singularly low point, the positive increase of the philosophical party has probably been still greater, especially amongst the most intelligent and educated classes of society. 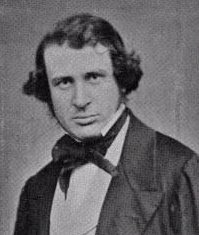 It is perfectly true, on the one hand, that the hold of the clergy over women, over the poor, over education in all classes of society, is far greater now than it was in the latter part of the last century, both in this and in other countries; but it is equally true, on the other, that the general tendency of every form of speculation has not been in the orthodox direction. If our generation is represented in one direction by Lacordaire, Montalembert, Dollinger, and Dr. Newman, it is represented in other directions by Strauss, by Comte, and by Mr. Mill. The revival of theology, of which so much is said, has to a great extent taken place under the protection of principles radically opposed to it. Catholic emancipation was carried only in the name of the theory of religious equality; and, in order to get leave to teach at all in France, the religious orders have had to insist on the general principle that it should be free to all alike to keep schools. In a few words, theology has gained considerable ground by taking its place as one amongst many conflicting systems of opinion; but the very fact that it has accepted that position to so great an extent has considerably changed its character, and has subjected it to responsibilities altogether unlike those which formerly belonged to it. In its infancy Christianity was persecuted. It then by degrees became itself a ruler, and therefore a persecutor. It is now a tolerated system, or rather the aggregate of many tolerated systems, but it no longer informs and inspires the great objects of human interest—government, literature, and science. Each of these has found a basis, and acts by methods, of its own. The great defect of all De Maistre's writings, especially of all his political speculations, is his obstinate refusal to realise this truth. To look at the French Revolution, and the whole of that immense movement of which it was only a part, as one vast mad revolt against all that is holy and true, or as the punishment providentially ordained for such a revolt, is utterly to misunderstand it; and no genius, no shrewdness, no learning, will save those who permit themselves to take such a view, from being imperfect, one-sided, and radically sophistical. Of De Maistre's theory about written constitutions, and the mystical theory of constitutional law of which he was the inventor, much might be said; but as this thought is only touched upon in the Considérations sur la France, and is worked out at length in the remarkable Essai sur le Principe Générateur des Constitutions Politiques, we shall reserve what we have to say about it for separate considerations upon that essay. The letters on the Spanish Inquisition are singularly characteristic, and deserve to be well known, though they are a slight performance. The gist of them is as follows: The Inquisition is generally supposed to be a purely ecclesiastical tribunal. It is supposed that the ecclesiastics who sit in it condemn certain criminals to death. It is supposed that those criminals are condemned to death for simple opinions. All this, however, according to De Maistre, shows that the tribunal is 'purely royal,' inasmuch as the King appointed the Inquisitor-General, and could, if he had pleased, have suppressed the tribunal itself, or suspended or altered any part of its procedure. This is an excellent instance of De Maistre's sophistry. Of course the clergy never had, in any country whatever except the States of the Church, and perhaps in the old German Bishoprics, the power of inflicting legal punishment except through the civil authorities. When they are charged with persecution, the meaning of the charge is that they instigated the civil power to persecute by inculcating upon civil magistrates the duty of suppressing heresy, and the awful character of heresy in a religious point of view. De Maistre's whole defence is that they were only accessories before the fact, instead of being principals. How efficient they were, and how very like principals, is sufficiently proved by his own words, which we have just quoted. Lastly, it is quite absurd, and a monstrous calumny, to say that the Inquisition ever executed people for mere opinions. They were executed for expressing their opinions, for 'dogmatising,' for being 'declared and public enemies of the Spanish dogma'; and as for the Jews in particular, they were executed for being relapsed. 'Jewish converts who chose to Judaise could leave Spain if they pleased, or if they stayed there, or tried to seduce Christians, they knew to what they exposed themselves. No one has a right to complain of a law made for all.' It is difficult to argue about first principles, but the great mass of mankind have a rooted conviction that no subject of complaint is more justifiable than the existence of a law made for all, which is calculated to produce all sorts of misery, and to suppress and prevent all sorts of good. Instead of being misled by modern indifference on this point, we ought to take as our measure 'le zèle antique qu'on est bien le maître d'appeler fanatisme, le mot ne faisant rien du tout à la chose.' The true justification of the Inquisition is to be found in its results. It has kept Spain free from the invasion of heresy and modern philosophy. Spain is the best nation in Europe. It has been free from the convulsions of other European nations. It has no superstitions; there may be amongst the lower classes some little excess in the nature of the honour paid to the saints, and so on, but no people believe less in amulets, dreams, apparitions, etc. This is certainly plain and consistent, though we do not think it is in any degree just as regards England. De Maistre ought in consistency to have owned that the English system and English legislation were, at all events, as consistent as the Spanish. No one in these days will defend the penal laws, especially those which were enacted against the Roman Catholics in Ireland; but, on the other hand, it is perfectly clear, from De Maistre's own way of stating the matter, that the English penal laws were exclusively political in their object, and that the principles of Roman Catholics, as he understood them, were such, at the time of the Reformation, as to lead them to give the greatest possible provocation to a Protestant Government. If the Roman Catholics had acquiesced in the Reformation considered as a political change, they would never have been troubled for their private religious opinions. There never was a time in English history when the mere fact that a man avowedly held the Roman Catholic creed subjected him to legal punishments proper. The Government never cared a straw about saving souls. They persecuted only in so far as they thought it politically expedient to do so. As to religious indifference, there is probably greater interest felt in every sort of religious discussion in England and America than in all the rest of the world put together. It is a topic on which hardly any one in this country is neutral; and though for political purposes people have happily agreed to sink their differences, the differences themselves attract as much attention as ever. That the whole English nation cannot be said to have, in its corporate capacity, any distinct religious faith is an undoubted truth; but it is equally true that a vast number of individuals, and organised religious bodies contained in it, have strong religious convictions, and it is by no means impossible that, if the balance could be struck, it would be found that the amount of religious indifference or disbelief concealed under a system of silent official uniformity, is as great as is to be found in the midst of our violent controversies. This, however, is by the way. It is no doubt true that doubt and toleration do go together, but the question is whether, if nothing but intolerance carried to the pitch of fierce persecution can prevent the growth and expression of doubt, doubt is not, for the present at least, the natural and proper condition of mankind? To this great question no answer, so far as we know, is to be got from De Maistre, except violent and scarcely intelligible affirmations, and brilliant declamation which can convince no one who requires to be convinced. Saturday Review, June 15, 1867.